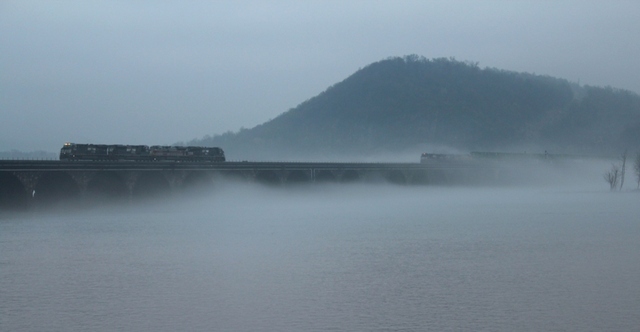 Westbound stack train comes out of the fog and meets the Enola to Harrisburg Power move on Rockville Bridge. At The Bridgeview Bed & Breakfast. 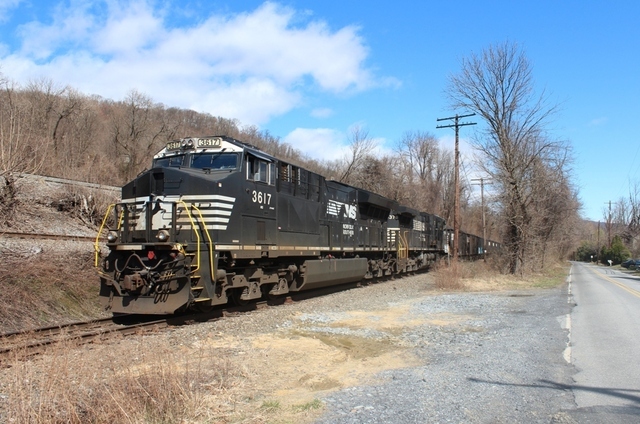 Inbound loaded coal train entering Enola Yard on track G.
Westbound tanker train with a pair of freshly rebuilt GE locomotives on the head end. At Bridgeview Bed & Breakfast. That is one hot load!! 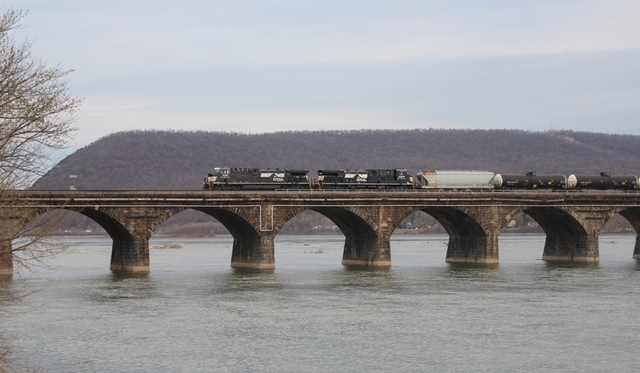 Express delivery from Harrisburg to Enola by way of Rockville Bridge. 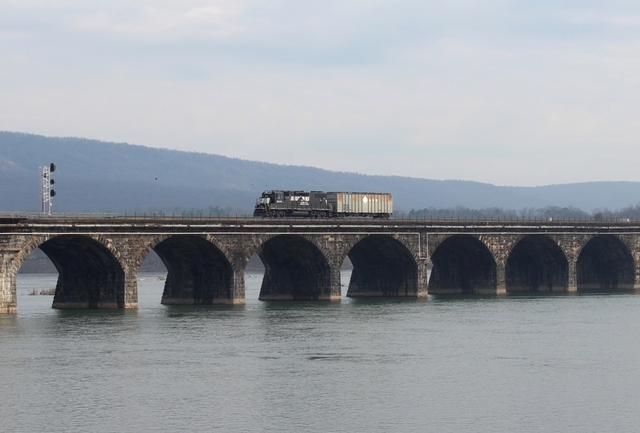 As seen from The Bridgeview Bed & Breakfast.